If you purchased ads on Facebook in Q4 you may have noticed a dip in campaign performance and much higher CPC’s or CPM’s compared to similar campaigns from the previous year. 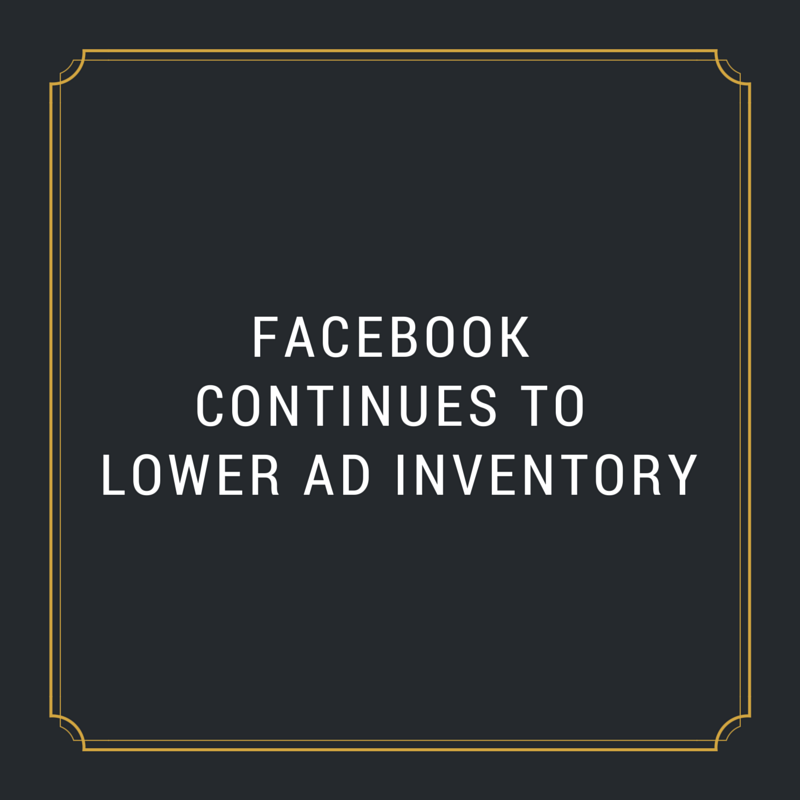 A recent article posted by Ad Age, explained in Q4 of 2014 Facebook served 65% fewer ads year over year, but the average cost of the ads was 335% higher. Advertisers came out in droves in hopes of flooding the newsfeed with holiday offers and direct campaigns galore, but Facebook pulled back the reigns in order to, as Ad Age described, “create a sense of scarcity around the ads it serves.” Because of this shift it is more important than ever for smaller advertisers to be in the right place at the right time and using the right tools. There is one word for being in the right place, mobile. If you are not placing Facebook ads on mobile you can stop wasting your money and quit now. Over 70% of Facebook users access the platform via mobile and while it is true most conversions are happening on desktop, mobile is the place to plant the seed. The year of mobile is now. Over half the US population owns a smart phone. If you want to reach your customers where they are consuming information it is in the Facebook mobile newsfeed. Shout it from the roof tops because this is THE place to be. Facebook has rolled out a number of tools in the last year to make it easier than ever to target the exact audience you want to reach. There are blogs after blogs describing how to target, who target and where to target. Use Google or Facebook targeting and you will receive a wealth of knowledge on the subject. When you have your ideal target audience then it’s time to test your creative. With targeting on Facebook, moving to the ad set level it is easier than ever to do your A/B testing within any target audience. Run your A and B ads and optimize to the best performing. It cannot be stressed enough how important it is to test your creative and use the results to optimize your campaign. There is a lot in the newsfeed and Facebook wants it to be as relevant to users as possible. Using creative known to be popular with your audience will most definitely lead to a successful campaign. Finally the right time is NOW. Q1 and Q2 typically see higher performance and lower costs, the cost is still up from last year, however there is less demand for the inventory right now. Take advantage of the lack of high roller advertisers and get your ads out there. Have a game plan based on performance in these quarters for how you will proceed during Q3 and Q4 of 2015 when advertisers begin driving up ad costs. Advertisers with smaller budgets can still compete with the big guns but need to be a little more planned and strategic to get the most bang for their buck. Using the the tools available will significantly improve campaign results.